Designed by Artists | Coming Soon! We love when we stumble upon a diamond in a rough and Designed by Artists is just that! 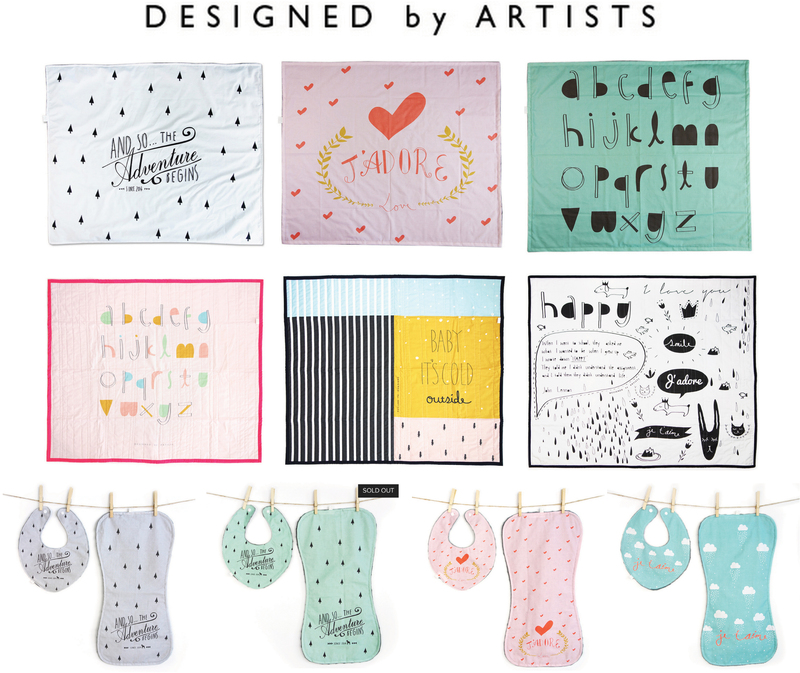 Based out of Houston, Texas, Designed by Artists designs and hand crafts unique baby blankets, burp clothes and bibs for the stylish families. You can find their baby products inspired by The Beatles, made with bright and cheery colors and find them just so darn cute! Sweet Threads is proud to be Designed by Artists newest retailer! Watch out for them! They will be available in-store and online Saturday, January 17th!